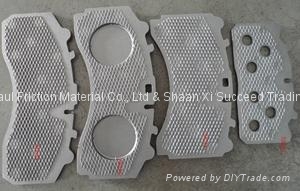 A disc brake pad assembly includes a wire mesh screen between the friction pad backing plate and a shim to reduce squeal when the brake piston applies pressure to the backing plate to urge the friction pad against the disc. The squeal suppression may be enhanced by applying a lubricant to the wire mesh screen. 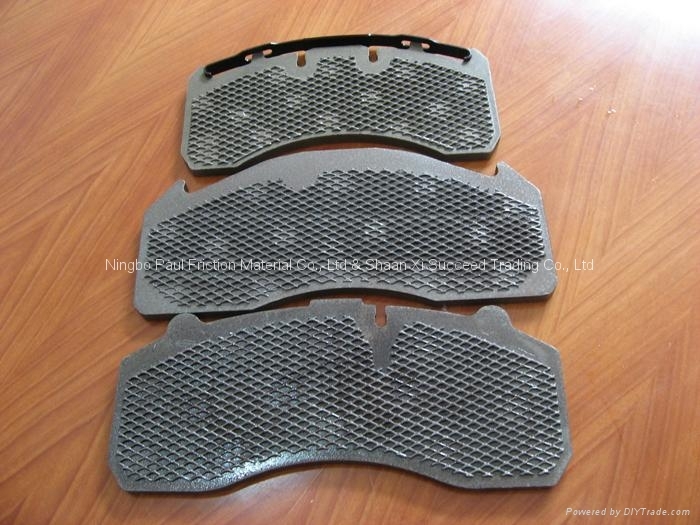 Application: suitable for Passenger car ,Heave bus ,Heave truck.